The Westwood new construction home at 2223 Malcolm Ave, LA CA 90064 lasted about 35 days on the market before accepting it's second offer on 3/27/13. A teardown property was originally purchased on this lot just over a year ago for $720,000 and up came this new construction project. This is the 1st 2013 built home to sell in Westwood this year. 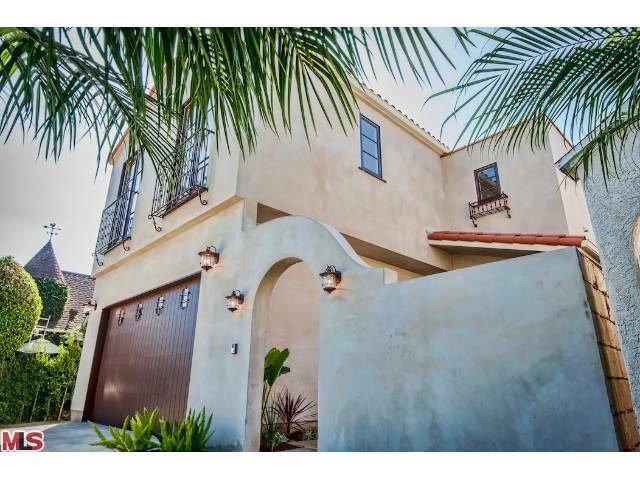 Last year, there was only 1 2012 built home to sell on the open market in Westwood. Although you can potentially say 2, if you include 10598 Kinnard, which really started back in 2006 but ghosted for many years before finishing up last year. On 5/2/13, 2223 Malcolm Ave closed about 3% over the asking price at $1,900,000 |$600 $/sf|. According to the MLS, the home is a 5 bedroom / 4 bath, 3,168 sf of living space on a 5,406 sf lot. What Did 1248 Comstock Ave Sell For? What Did 1935 Fairburn Sell For In Westwood? What Did 1960 Bentley Ave Sell For In Westwood? What Did 1406 Selby Ave Sell For In Westwood? What Did 10810 Wilkins Ave Sell For?